Entering the canal, there lays before us the first of five locks that we will traverse in just over five miles. 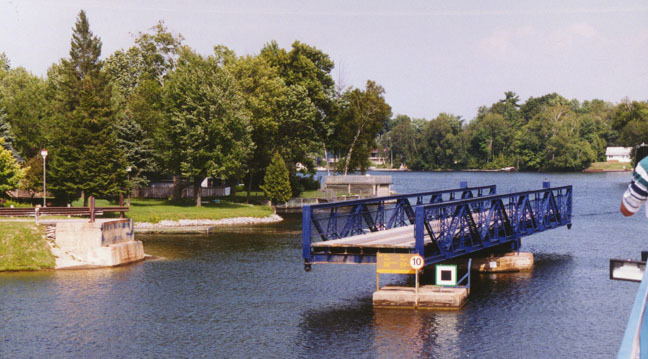 This portion of the Trent-Severn is referred to as the Balsam Lake-Lake Simcoe Sector, and was constructed during the great construction phase of the canal, along a route, which was originally the portage from Lake Simcoe to Balsam Lake. Contracts were let out in 1896 for this section as well as the Peterborough-Lakefield Sector, which we will see on our last day. These locks are all manually operated, requiring sixteen turns of the turnstile to open each gate. 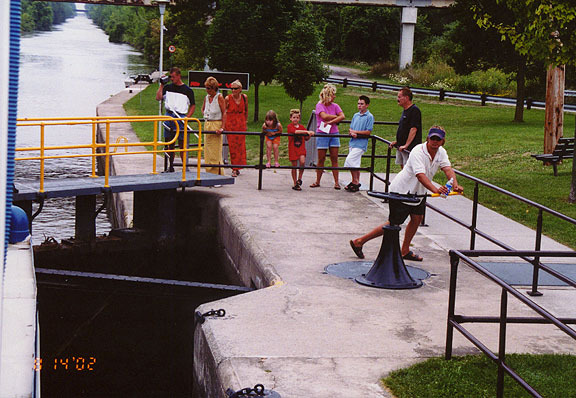 Hand winches on the gates operate the valves for emptying and filling the locks. 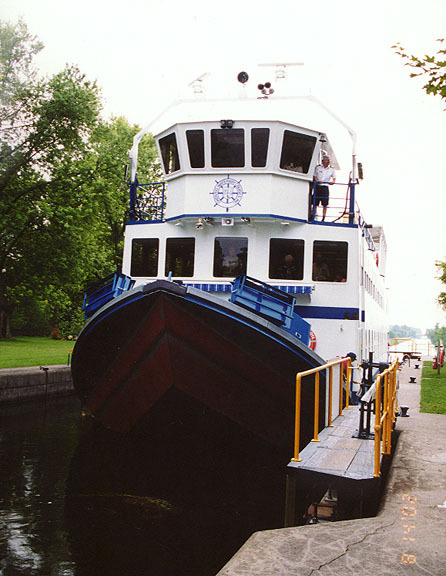 When Parks Canada took over operations of the waterway in 1972, the Department of Transport was already in their twelfth year of a modernization project on the canal. 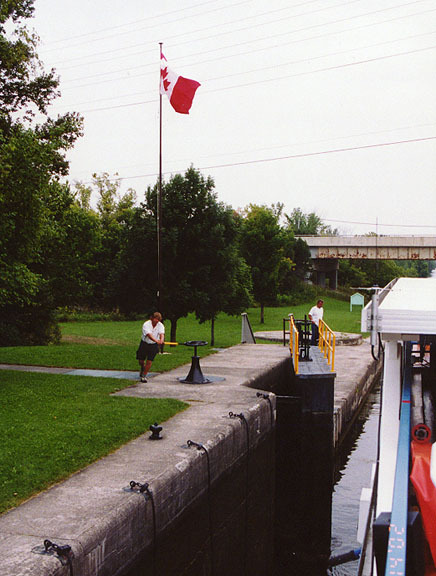 At the time, the Trent-Severn was declared a Heritage Canal, and electrification of the remaining locks was halted. 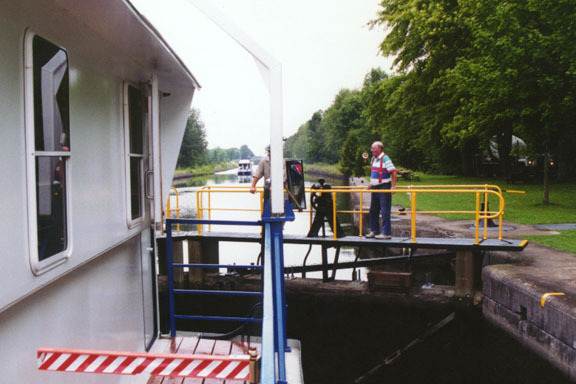 Efforts are now being made to preserve its historic value by allowing us to view the locks operating as they did at the time of their construction. 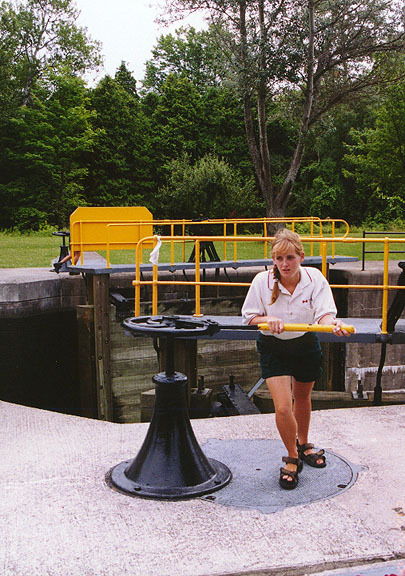 Besides, as one lockmaster explained, the mechanisms are so simple, they seldom break down and are easy to repair. 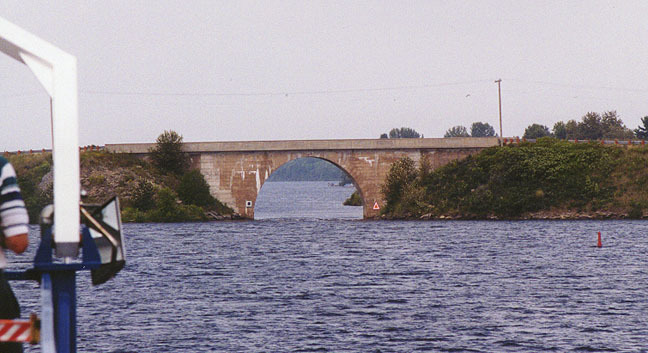 The geological basis for this section of the canal follows a spillway cut by the waters of ancient glacial Lake Algonquin when its outlet was located at Kirkfield 10-12 000 years ago. This water then spilled through Fenelon Falls and into the Trent River valley, eventually finding it’s way to the St. Lawrence.